The drugs that were seized in Davidsonville by the JMPD K9 unit. Photo: Supplied. The MMC vowed to flush crime out and restore law and order. 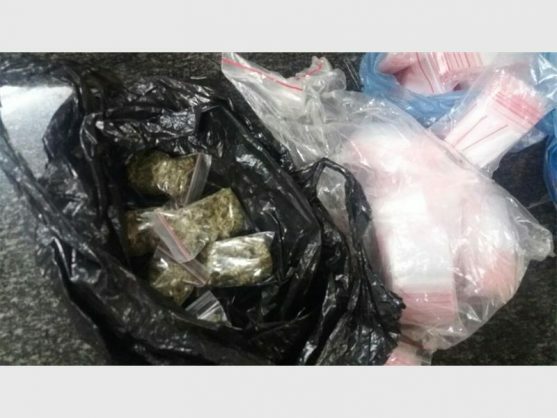 The Johannesburg Metropolitan Police Department’s (JMPD) K9 Narcotics Unit had a successful outing in Davidsonville, on the West Rand, on the evening of February 7, Roodepoort Record reports. MMC for Public Safety, councillor Michael Sun. Photo: Adéle Bloem. “While the Member of the Mayoral Committee (MMC) for Public Safety councillor Michael Sun and I were addressing a packed hall during our public meeting, the K9 unit’s officers were out in full force,” said René Benjamin, the councillor for Ward 71. The operation resulted in several drug-related arrests being made, as well as some dagga being seized, on Sophocles and Oliphant streets. The suspects were taken to the Roodepoort Police Station for further prosecution. According to Benjamin, she and the MMC were both thrilled by this news. “We both vowed to flush crime out of the neighbourhood and restore law and order in Ward 71,” she said.